Noorghadami, Z., Shiekhdavoodi, M., Sajjadiyeh, S., Khorasani Ferdavani, M. (2014). Analysis of Energy Consumption Rate in Drying Process of Corn Using Dryer Reservoir in Different Temperature and Height of Layer. 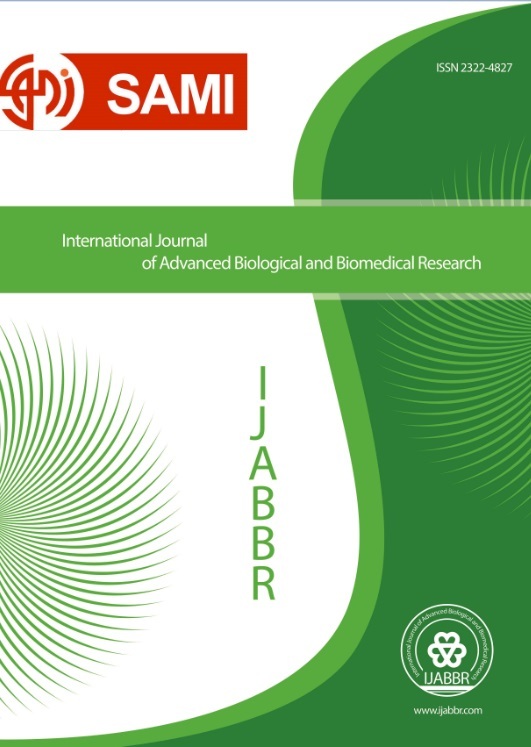 International Journal of Advanced Biological and Biomedical Research, 2(7), 2314-2318. Zahra Noorghadami; Mohammad Javad Shiekhdavoodi; Seyyed Majid Sajjadiyeh; Mohammad Esmail Khorasani Ferdavani. "Analysis of Energy Consumption Rate in Drying Process of Corn Using Dryer Reservoir in Different Temperature and Height of Layer". International Journal of Advanced Biological and Biomedical Research, 2, 7, 2014, 2314-2318. Noorghadami, Z., Shiekhdavoodi, M., Sajjadiyeh, S., Khorasani Ferdavani, M. (2014). 'Analysis of Energy Consumption Rate in Drying Process of Corn Using Dryer Reservoir in Different Temperature and Height of Layer', International Journal of Advanced Biological and Biomedical Research, 2(7), pp. 2314-2318. Noorghadami, Z., Shiekhdavoodi, M., Sajjadiyeh, S., Khorasani Ferdavani, M. Analysis of Energy Consumption Rate in Drying Process of Corn Using Dryer Reservoir in Different Temperature and Height of Layer. International Journal of Advanced Biological and Biomedical Research, 2014; 2(7): 2314-2318. Objective: Drying is one of the most important post-harvesting processes in agriculture. Drying method and also drying time have an important effect on the amount of energy required. In this study analysis of energy consumption for drying corn in dryer reservoir with flow of warm air and the effect of the temperature and height of product layer on the amount of energy consumption per unit mass were investigated. Methods: Drying experiments at five different temperatures (70, 80, 90, 100 and 110˚C) and the height of product in the reservoir in four different levels (20, 40, 60 and 80 cm) and at a constant speed of air flow (1 meter per second) were performed in three replications. Results were analyzed using SPSS software. Results: The results showed that the product at temperature of 100˚C with layer height of 60 cm had the minimum amount of energy consumption per unit mass while at temperature of 70˚C with layer height of 20 cm the maximum amount of energy consumption per unit mass occurred.